Whether you’re planning a festival, a sporting event or a large corporate function, our combined stretch tent hire can create the ideal, high-capacity venue for you. Over the last few years there has been a rapid growth of the festival scene and as a result, we had to create bigger and grander spaces. 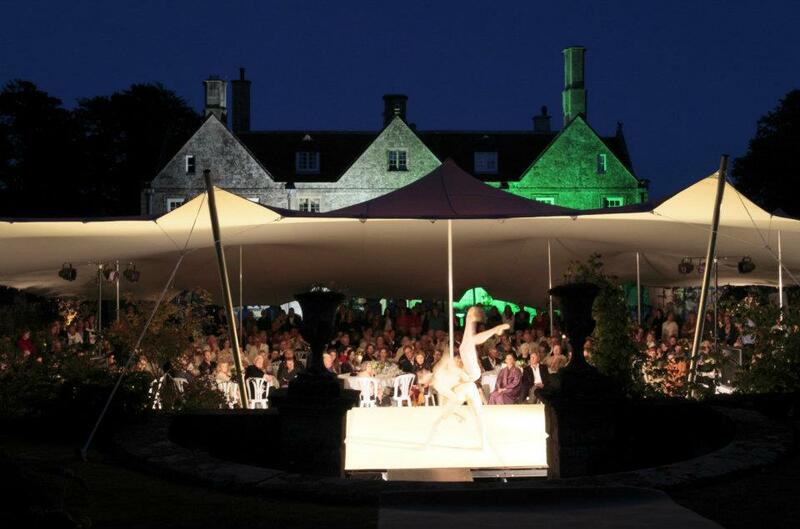 By combining our stretch tents we can build you a completely bespoke venue that is almost limitless in proportions. Due to the flexible nature of stretch tents, we can tailor the space to suit your needs, customising the shape of the space, the colours and even adding your company branding to give you the perfect venue for your event. Our combined stretch tents can be created to suit your unique needs, in a wide range of sizes, shapes and colours. Because this is a completely bespoke service our team of expert riggers will work with you to design the ideal space for you, advising you on the best solutions to meet your needs. Here at CGSM our team of expert riggers have created mega-spaces for numerous events throughout the country. 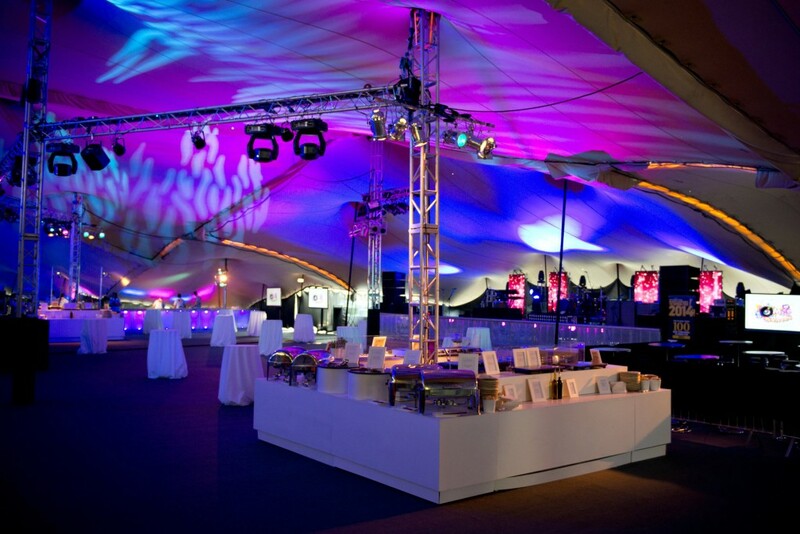 As one of the UK’s leading combined stretch tent supplier we’re proud to be able to offer you a totally bespoke service, creating an event space solution that’s ideal for your large event. Because of the unique nature of a combined stretch tent, the exact timing for setting up and dismantling will vary, so this will be discussed with you during your initial enquiry. 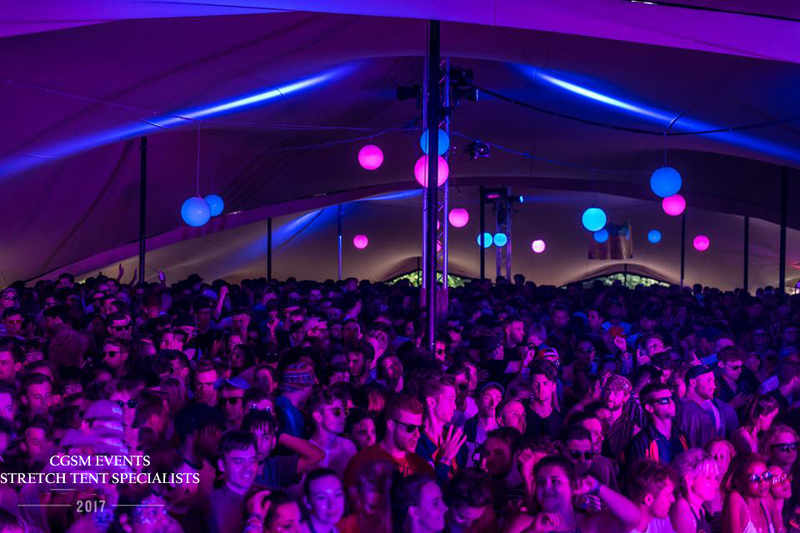 To get a quote for your combined stretch tent hire please click here to get in touch and one of our experienced team members will be happy to help you. 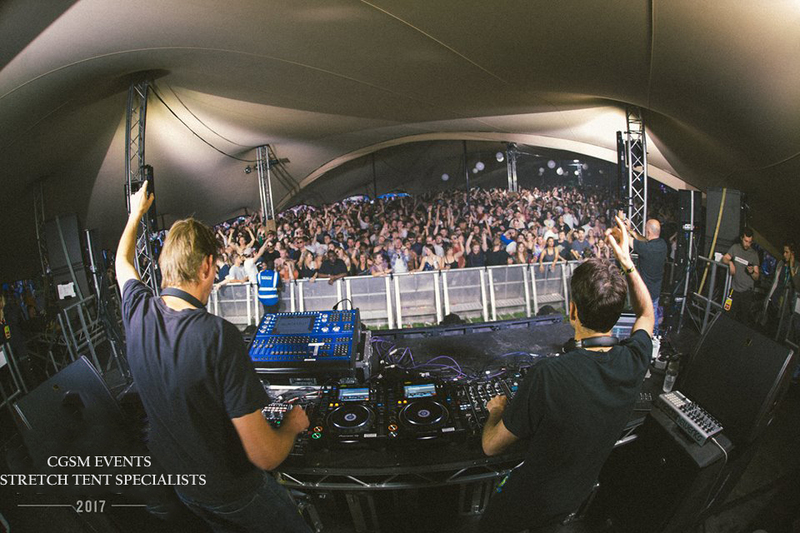 We are often asked to combine large stretch tents to create mega-spaces and a well known UK festival contacted us to ask our advice on how to create a 2,000 capacity venue at their festival to a tight budget. We worked with them to discuss their requirements in finer detail. We ended up with the 45m x 21m structure with two stage areas with added height and a central dance pit. The construction took just under two days from breaking ground to client sign off and handover. This was all done in 30mph winds. We are now in our third year of working with this festival. In 2014 we were asked to provide cover at a world-renowned amusement park. Due to a narrow installation window of 24 hours, we had to work round the clock. The stretch tent structure had to be installed in a difficult ‘two-tiered’ arena space. Hence it needed to be high enough to allow for a large stage and lighting rig. We completed our installation (including flooring and carpets) within the 24-hour installation window, as a result, we had a very happy blue chip client.